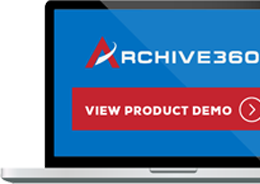 Orlando – September 20, 2018 – Archive360, one of the world’s leading providers of data migration and information management solutions for the Microsoft cloud, today announced its Archive2Azure long-term intelligent data management and compliance archive solution, delivers complete support for Immutable storage for Microsoft Azure Blobs, which is available today. Archive360 has just announced that Archive2Azure is one of the first native, cloud-managed solutions for archiving and long-term data management to fully support Microsoft’s immutable storage capability. 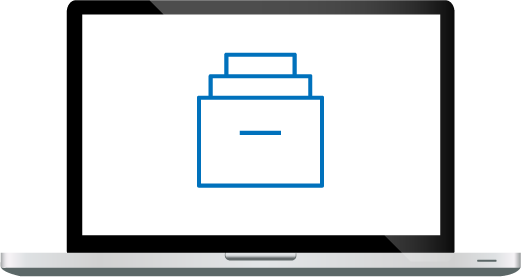 With Archive2Azure, Azure users can count on secure, low cost and compliant intelligent archiving that takes advantage of Azure’s full complement of storage tiers. Through configurable policies, users can keep Azure Blob storage data in an immutable state where Blobs can be created and read, but not modified or deleted. Blobs can be transitioned across storage tiers (hot, cool, and archive) while remaining immutable. Archive2Azure works with the customer’s own Azure tenancy to store, index, search, and manage large volumes of structured, semi-structured, and unstructured data. Archive2Azure creates containers that store and manage data in “cabinets” on specific Azure storage tiers. Archive2Azure stores, secures, and manages regulated data in an immutable format on hot, cool, or archive Blob storage to ensure complete protection while also applying retention/disposition policies. Once data is stored in an immutable format, data cannot be altered or deleted within the retention period. And one of the best things about Archive2Azure is that you don’t need to hand over your data to someone else. Your sensitive data is held in your Azure tenancy, using your encryption keys, with the data stored in its native format on true immutable storage, so you never have to pay a ransom to get it back.